Bonnie Hagemann is an expert in leadership of the very best kind—educated, insightful, experienced, strategic, and thoughtful. Her well-rounded balance of intellectual brilliance and intuitive good sense make her a go-to person for executives and leaders who want to be their best. Bonnie Hagemann has not only assisted me greatly with transition into the CEO role of our organization, but also with the various transitions within my senior executive team. Her leadership coaching enabled me to fully appreciate the importance of the leadership decisions we had to make and how we message and energize our team around the changes to the organization that lie ahead. Her coaching style is extremely personal, direct, honest, professional, and compassionate. She has been an incredible “thought partner” for me, always there to give me a lens that is helpful and useful. Today I consider Bonnie not only a friend, but also a truly trusted colleague, a member of my most inner circle, and absolutely the best strategic advisor that a CEO could have. Our organization has experienced significant benefits working with Bonnie Hagemann for over 7 years. She has demonstrated considerable expertise in leadership coaching, especially with our most senior executives and clinical leaders. Her coaching style is extremely hands on, direct and insightful all the while maintaining a strategic perspective. Her feedback is always direct, honest, professional and compassionate. Using her skill sets, she allows highly talented leaders to realize their full potential. I have professionally and organizationally benefited from her skill sets and talent in addressing complex and difficult organizational leadership challenges. I would highly recommend her for all executive development and particularly for C-Suite coaching without reservation. Bonnie Hagemann provides an excellent management coaching service. We have used her for internal management effectiveness coaching, 360 analyses, and leadership training. She does a great job keeping management accountable and moving in a direction most effective for the organization. Great results. Expert. Good value. The roll out of our leadership development program was a huge success thanks to EDA’s Rapid Cycle Design process. 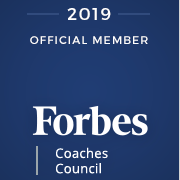 It enabled us to design a systematic, sequential, and cohesive leadership program that includes assessments, classroom training, monthly webinars, Individual Development Plans, and coaching. The feedback we have received from our cohorts and executives has been overwhelmingly positive. After attending part one of the three-part program, one participant stated “I am so pleased to be a part of the Leadership Academy. It is clear to me that you and your team have created a learning program that is deep and wide, while also being well integrated. Your time, effort, and dedication to this project are apparent and all of us who participate will reap the rewards of your hard work.” This feedback is a direct reflection of utilizing EDA and Rapid Cycle Design. If you need help in designing a comprehensive leadership program, I highly recommend partnering with EDA.
" - Cheryl M., Director of Leadership Development / Express University, Express Services, Inc. The Critical Thinking Boot Camp was absolutely one of the best educational experiences I have attended in my 23 years as a senior Active Duty Army Strategic Planner and senior civilian in the Department of Defense. The course superbly honed the strategic leadership and critical thinking skills required of today’s senior civilian leadership within the Department of Defense, and specifically the United States Strategic Command. The Boot Camp enables complex issues to be dissected logically, using proven methods, allowing us to develop “out of the box” solutions. Participants are exposed to and practice skills which are essential in the rapidly changing environment facing our Nation, helping to prepare our Nation’s most senior leaders to succeed in this challenging environment. As a recent participant in the Critical Thinking Boot Camp, I found the tools acquired to be directly applicable to me back on the job. One of my goals was to reduce material losses to zero, when they had recently been estimated at over $350,000. The Critical Thinking tools provided a clear, organized way for the team to brainstorm and prioritize our focus to achieve this goal. We utilized creative problem solving and brainstormed all the reasons why we had such high losses in the first place. Our team invited some processing, accounting, and lab team members to assist us. We then reviewed our list of probable causes and discussed each one more thoroughly to determine the highest priorities. That process led us to focus our problem solving efforts on a few key areas. In subsequent team meetings, we were able to work through those areas and make some substantial improvements. We are expected to achieve savings of over $100,000 as a result of these efforts.